Leonard S. Hyman, is an economist and financial analyst specializing in energy, utility regulation and finance. He headed utility research at one of American's largest brokerage firms, Merrill Lynch, advised the power banking group at investment bank Salomon Smith Barney and participated in utility privatization projects in Mexico, Spain and the United Kingdom. He was voted a member of Institutional Investor's All American team of top Wall Street analysts for more than ten years in succession and was among the first Wall Street analysts to lay out the prospects for utility deregulation. 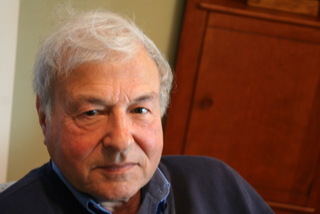 Mr. Hyman is the author, co-author or editor of seven books, including America's Electric Utilities: Past, Present and Future, which is in its eighth edition. He and William I. Tilles write regularly for Public Utilities Fortnightly and OilPrice.com. He was on advisory panels for the U.S. Congress' regrettably defunct Office of Technology Assessment, testified before Congress, and was member of Pennsylvania's pioneering panel on deregulation, the National Electric Reliability Council (NERC) Blue Ribbon panel on reorganizing NERC, advisory boards of Electric Power Research Institute and Target Rock Advisors, and most memorably, served on a NASA panel to evaluate financing for nuclear power plants on the moon. Leonard S. Hyman is a Chartered Financial Analyst (CFA). He graduated as a member of Phi Beta Kappa from New York University and received a masters degree in economics from Cornell University. He lives in Sleepy Hollow, NY.